Note: Yup, re-runs again – busy getting all that food put away, and ready for frost and Sukkot. And yes, still behind on my email – apologies if I owe you one. Perhaps the single most visible symbol of the differences between my life and ordinary American lives is my wood cookstove. So much of what we do to conserve energy is invisible – we don’t go places, we don’t use things, we don’t buy stuff. And the rest often looks fairly ordinary – lots of people have clotheslines, lots of people have gardens – and not necessarily for the same reasons I do. But my wood cookstove, well that’s something rather different, something not in the kitchens of most houses. Everyone who comes into my home stops dead at my Waterford Stanley and stares, admires, wants to know how it works. Why choose a cookstove? We have both a cookstove and a wood heating stove, although they only run simultaneously on unusually cold days or when we have guests enough to need to heat the whole house. During much of the year, the cookstove is our primary heat source, particularly in the early spring and late autumn, when the worst of winter’s cold abates, but it is still chilly enough to need a source of heat. We haven’t yet started the stove for the autumn this year – since wood smoke is polluting, we try not to use it when it isn’t truly necessary. But I’m looking forward to going back to dancing with wood. If you are trying to decide whether to buy a cookstove or a conventional heating stove, it is worth considering what your priorities are. 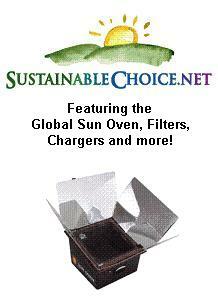 Do you already live in a climate where you can use a solar oven or outdoor masonry oven most of the time (ie, somewhere sunny, fairly dry and warm?) Then you probably don’t need a cookstove. Do you have trees on your property or lots of sustainably harvested and carefully managed forest in the area, so that wood makes sense at all? Do you cook much? Can or preserve? If you live alone and rarely cook, I would go for the more efficient wood heating stove – remember, you can cook on one of those as well – you can put a pot of soup on the top of the stove, and even get or make a sheet metal oven to go on top of it that will allow you to bake. It isn’t as precise, easy to control or as large a surface, but it can be done. On the other hand, if you live in a large household, preserve a lot and cook from scratch most of the time, a big flat hot surface and oven going all the time might be a huge blessing. Also, where does your cooking energy come from? If you are cooking now with coal powered electric, replacing that stove with a cookstove might make a big dent in your emissions. How much is cost an issue? What kind of stoves are available to you? New cookstoves are often a bit more expensive than new conventional woodstoves of similar heating ability. If buying an older stove, be careful with what you are buying – older stoves of both kinds may be heavily polluting and inefficient. Used stoves are often available, but make sure you know what you are getting, and that they check out for a good tight gasket seal and are in good condition. Also think about the costs and impacts of the wood you are using. If you live in a forested area, or can manage your own woodlot or track how wood is harvested locally, wood might make sense. In an area without a lot of woodland, where wood has to be trucked long distances, perhaps a stove using another fuel would be wiser. Many woodstoves can be adapted to use pellets or corn, but I’m not aware of a pellet/corn basket that would fit the smaller firebox of a cookstove – although such a thing may well exist. Finally, how worried are you about having a source of heat and cooking power that doesn’t require electricity or natural gas? Since we have regular power outages in our rural neighborhood anyway, it is just commonsense not to depend on the electric lines for our heat (our oil furnace requires electricity to be used) or cooking. If you aren’t worried about your fossil fuel supplies, or have a better, more locally appropriate alternative, maybe a cookstove isn’t for you. The same would be true, even if you have these worries, if you don’t expect to be home to check on the stove regularly. If you pressed me, though, to answer which of the above was the major factor for me in choosing a cookstove, I would have to admit, although a cookstove makes sense at my house, the primary factor isn’t anything so logical. I just wanted one, and now that I have it, I find that I love it. Some of the things I do to cut my energy use and live more sustainably are fine, but I don’t feel passionately about them, but the cookstove is one of my favorite things in the world (milking goats and hanging laundry also fall in the category). I love tending it - I actually love the regular interruptions to my work to go tend it when I’m the only adult in the house. I love the intricate dance of adjusting temperatures and cooking, and the huge expanse of hot surface that entices me to start just one more pot. I love canning on it in the fall, the way the warmth is almost too much, and the combined smell of the wood and applesauce. I love the way I feel it helps me cook better – the way things taste when they come out of it, and the way its enticing hot oven and surface encourage me to cook, and cook creatively. What is it like to use it? In the mornings, whichever of us is up first lights the stove – we don’t usually keep the cookstove going overnight, even though we can, simply because if it is cold enough to need a stove going overnight, we usually prefer the heating stove with its larger firebox and longer burn. Sometimes we take a scoop of embers from the other stove, or if it isn’t as cold, we play match games with our junk mail and the newspapers friends save for us and the kindling that my kids collect all autumn. It takes about 5 minutes to get the stove lit and be sure it is going, and another 20 minutes of hanging about doing other things, but checking on the stove and gradually getting it up to a proper burn before we can load it up and go about our business. I think of lighting a fire as a kind of dance – a delicate balancing of materials and the temperatures outside, the air and the draw of the fire. I love the symmetry, and most of the time, I love the challenge of getting it right. Once we’re up and running, I immediately put the kettle filled with filtered water on the hob, and when it starts to boil, I’ll pour my first cup of tea and move it over to the coolest part of the stove which will keep the kettle hot all day long. Since we often bake bread in the morning that we’ve set to rise overnight, many mornings the first project is to get the oven hot enough to bake bread, which is good anyway, since a short, hot burn will keep creosote from forming on the stove. Meanwhile, the bread is put on for a final rise in the warming oven above the stove – a nice toasty spot that sends it bounding right up. If you are in the market for a stove, the enclosed warming oven is a wonderful place to make yogurt, raise bread and dry mittens, or even dry pieces of wood for the next day’s fire that have been iced over or had snow melt on them outside. Meanwhile, I will probably put something on to simmer on the stove – it could be a pot of soup or stew, or some applesauce – the kind of warm, hearty food that one craves in the cold weather. Lunch will be ready when I want it. The stove is good for multiple purposes – the kids come there to get dressed, I come to warm my hands after typing in a cool office and refill the teacup. We can take the grate off and toast marshmallows or grill vegetables. We don’t have a resevoir for hot water, my one regret about my stove, but occasionally we take a big stock bucket and bathe the kids in front of the stove anyway, just for fun, heating the water on the stop of the stove. If the power goes out, we hang our solar shower bags up on hooks behind the stove to get hot for a bedtime shower. And most days, the drying rack comes over near the stove so that we can rapidly dry our clothing, adding pleasant humidity to the air. Once the stove is going, and if there’s not much food to tend, I usually visit it once every hour. It doesn’t have to be done quite that often, but I find that it helps me avoid getting engrossed in work or homeschooling and forgetting about the stove entirely. Plus, the break – getting up, bringing in some wood or poking up the stove and adding wood – is pleasant. I fill my tea cup again, fill the kettle and check on my simmering thing then too. Lunch and dinner somehow seem easier with the cookstove to me – it is so simple to put something on to cook when I’m tending the stove anyway. The structure and discipline of dancing with wood bring food along with them. And the rich smells of food that comes out of the woodstove oven seem to make things even more delicious. We eat in the dining room, basking in the warmth of the cookstove. This reminds me that where you put the stove, and the shape of your house, will also affect your decision about having a stove. You could put your cookstove in the garage or somewhere away from the kitchen, I suppose, but that will likely create a good bit of hassle for you if you do – carrying food that is bound to be spilled sometimes, running back and forth for things. So if the kitchen – or a room right off of it isn’t a place you want to be, having a cookstove might not be for you. For us, we have a good sized older kitchen with room for the stove, and right off of it is the dining room where most of our homeschooling is done. The stove concentrates us in the kitchen and dining room, which is lovely – it makes our public space more public and collective – we are all together, often working on different projects. When we’re doing a big cooking project, with things in the oven and going on the stove, this requires more attention, a familiarity with the vagaries of our draft and the best strategies for heating up quickly. Learning to use a cookstove does take some practice, and will probably involve a few mistakes as you master the idiosyncracies of your particular stove. I think I burned things once or twice, and underestimated the time for something at least as often, but it was a surprisingly short learning curve, and you shouldn’t be intimidated by it. It wasn’t nearly as hard as I expected it to be, and the learning was a lot more fun. You’ll want a plentiful supply of potholders and wooden utensils, since these don’t transmit heat, and cast iron cookware is the nicest and easiest to use on the stove – but since I like wood and cast iron better anyway, that’s no hardship for us. Other than a few basic fireplace tools and a tight metal can for storing ashes, that’s really all you need. During the daytime we all gravitate to the stove, both to tend it, to enjoy the enticing smells and to be warmed by it. At night, we shift the stove to warming the bedrooms – that is, we put bricks into the oven (we soak them in water first) where they get hot. The bricks are then carried upstairs, wrapped in flannel, and put into the children’s beds to radiate warmth to the sheets, and then gradually warm up their feet as they cool down. We also heat water in hot water bottles, and rice bags to warm the kids. Since we do not really heat the upstairs – we all prefer sleeping in a colder room with plenty of blankets – this means the pleasure of getting into a cozy, warm bed without the fire risk or magnetic field risk of an electric blanket. Later, we’ll do the same thing for ourselves. If we do keep the stove going overnight, there’s an art to banking it – it takes a little time and practice again. Otherwise, we fill it up before bed, and then just let it go out – because our stove is cast iron and tight, the stove will still be quite warm to the touch most mornings, even hours after going out, still radiating heat into the kitchen. All of it, to me, feels like a dance – occasionally clumsy or awkward, but often delicate and oddly freeing, despite the structures it imposes on my day. It seems odd that one of the secondary (after the husband, kids and other family of course) loves of my life is green, squat, named Stanley, and often too hot to touch , but so it is. My house is too small (by design for a cook stove) but I have in the last year added a chimney and a small wood heater with an oven in my front room. I have always loved cooking and heating with fire. It makes me feel safe from the storm or even the possibility of a storm. And don’t get me started about how I feel about wood piles. Hello! I am just writing to let you know that I have nominated your wonderful website as one of the 7 blogs to which I have awarded the Kreativ Blogger award. Have a look over at # and check out the esteemed company you keep. The latest post also sets out the ‘obligations’ that go with winning it, mainly to nominate 7 others as being your favorite blogs. I hope this leads to more traffic and to more support for your great work. I’ve never been able to get or find info on how to bank ANY fire, cookstove/woodstove/fireplace/whatever. Anyone have tips? A question for you. Do you cook on your woodstove in the summer, or only in the cooler months? If you’re not using your woodstove in hotter weather, what are you using. Like you, I love cooking on my woodstove during cool weather, but during the summer, not so much. Julie, ME TOO!! My family tells me that I’m obsessed with wood piles, LOL. I guess it’s true. We can’t drive anywhere without me commenting “oh, look at THAT wood pile!” My daughter had the idea last year of taking pictures of different wood piles and making me a little, sarcasticish, picture album. She ended up not having the nerve to ask strangers if she could photograph their wood piles… but guess what? I did, and do… and have quite the collection going! I have a 1912 torquise enamaled wood cookstove that I love. It is the soul of our home. The kettle is always humming, stock boiling and squash roasting. I love reading about your experiences. My grandmother always sent us to bed with hot bricks wrapped in fabric. I completely forgot about that until reading this. We have a propane stove, but I mainly use “Betty” our wood cook stove. It was a little more work canning on it, but now that the frost is in the air everybody seems to love it when I start it up in the morning as it warms the whole kitchen (our largest community space). We have woodstoves in all of our main living spaces, which is nice –but (for me) not quite enough all the time… which brings me to my off topic question for your or your readers. I have rheumatoid arthritis and live in a really rainy location. This can makes morning times difficult for me. I read in your blog a few posts back the suggestion about heating bricks and covering them with flannel sheets to create extra warmth. I discussed this idea with several friends and we think the bricks might be just even more stiffness and possible pain inducing for me and some folks suggested heating buckwheat or other more moldable but heat holding substance. My question is – does anybody know of something softer than a brick that would be really inexpensive, or even better, how I can make something myself to make my own bedwarmer. I don’t know how long this would hold the heat – but I have a nasty sinus problem due to allergies – and I use a tube – first layer made of a plastic to hold the liguid in it – the second layer made of flannel which has lavender imbedded in it. It is so soothing and clears those clogged sinus right out. However, it would not remain warm for the whole night. I got it on the internet. On the subject of cookers, I have always wanted an AGA. They are used all over the Uk and Ireland. They have several models include a wood burner which burns very efficiently. There are also models which assist your furnace in heating the home and also function as hot water heaters. A pricey item – but really great. The warming oven is great for putting the kids coats in before they venture out into the cold. I was driving in midstate Massachusetts last spring, not far from Amherst and drove by a small house that had piled their firewood to form a fence around the house, with a bit of a labyrinth entry way! It was the coolest woodpile EVER! Lorna, I have had the same question. Living in NCentral WA State we have cold falls and winters, practically no spring, but hot summers. There is no way i can see lighting a wood cookstove in the hot months, anymore than we would use our woodstove. I don’t even like to use the oven on our propane cooking stove. How do get around that problem? We have put rice or buckwheat in a flannel bag, heated it, and used it for extra warmth in or out of bed. They work beautifully. But we do heat them in a microwave. Not sure how they could be heated otherwise, other than a very low oven. Nadia, let’s hope someone else has the answer to cooking in the summer. I’d like to cook off the grid, but don’t want a hot cookstove in my kitchen. Summers in Wisconsin can get hot. One answer would be the solar oven, but I don’t use it as much as I should because it’s awkward to lug it in and out of the house and I can’t leave it out in the rain. We grill out and eat sandwiches a lot when it’s hot, but that doesn’t solve the canning issue. Am thinking of setting up a summer kitchen outside, maybe with a rocket stove for canning. We use our wood cookstove until it gets too hot, and then we switch, mostly over to solar oven, and in the past to our outdoor masonry oven (we need to build a new one), and occasionally, to our not at all sustainable electric stove – but we use that only as a last resort. It is possible to cook with smaller fires, and we do this during transitional periods, where the heat isn’t really needed, but it isn’t too awful with it. I do know people who move their cookstove every year outside to a sheltered summer kitchen, or enclosed porch. Thanks Cecilia & Sarah , you both got me to thinking – no small task when the weather starts turning. Food Storage and Preservation Class!